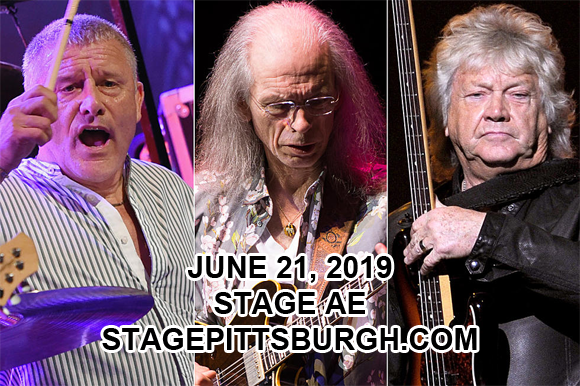 Featuring prog rock giants Yes, Asia (in a new line-up, and with special guest and original guitarist Steve Howe), Moody Blues founder John Lodge & Carl Palmer's ELP Legacy, The Royal Affair Tour comes to Stage AE on Friday 21st June 2019! A showcase of progressive rock genius and a touching tribute to band members past, The Royal Affair is a one-of-kind event that present the very best in British classic rock! Formed in London in 1968, English progressive rock band Yes is one of the most enduring, successful and influential prog rock bands to date. Since June 2015, the band has consisted of guitarist Steve Howe, drummer Alan White, keyboardist Geoff Downes, singer Jon Davison, and bassist Billy Sherwood, and it continues to be a major act on the touring circuit. Six-time Grammy Award nominees, the band earned the Grammy Award for Best Rock Instrumental Performance in 1985 with "Cinema". They are best known for their 1983 U.S. number-one single, "Owner of a Lonely Heart" from their eleventh studio album 90125. the band has sold 13.5 million RIAA-certified albums in the US to date and was inducted into the Rock and Roll Hall of Fame in April 2017.